Birthdays, Mother’s Day, Syracuse oh My!! It’s been a crazy few weeks for me as I celebrated my birthday, brought my mom to the stadium for Mother’s Day, and visited Syracuse with the Racing Presidents for a Chief’s game and Strasburg’s second AAA start. My birthday brought lots of fun as I had almost all of my friends come out to party with me. Slapshot, Poe, Talon, Glory, Testudo, Lucky, George, The Patriot, The Cardinal were a few of my friends to come for the good time. We celebrated with a cake ceremony (which an unlucky Dodger fan somehow took to the face) a pi�ata, and lots of dancing! Mother’s Day was very special for me. It signified the first time my mother came with me to a Nationals game. I delivered some flowers to Momma Screech which she was so thankful for. Later she helped me judge the presidents race and in the fifth inning we were even put on Mom Cam!!! The day was so much fun, especially since the Nationals ended up winning the game. 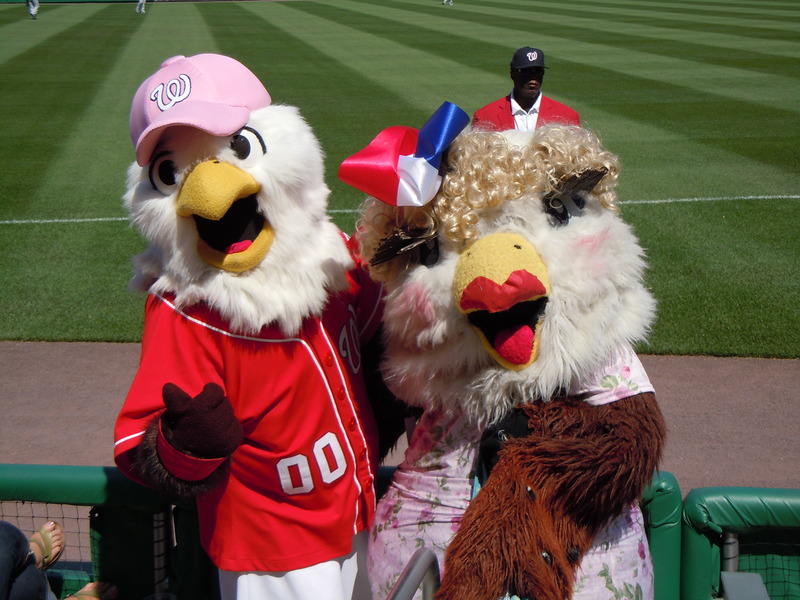 Momma Screech can come back to whichever game she’d like to, but PLEASE, no more belly dancing!!! This past Wednesday, George, Tom, Abe and Teddy took a nice little road trip to Syracuse to see our AAA affiliate, the Syracuse Chiefs play. 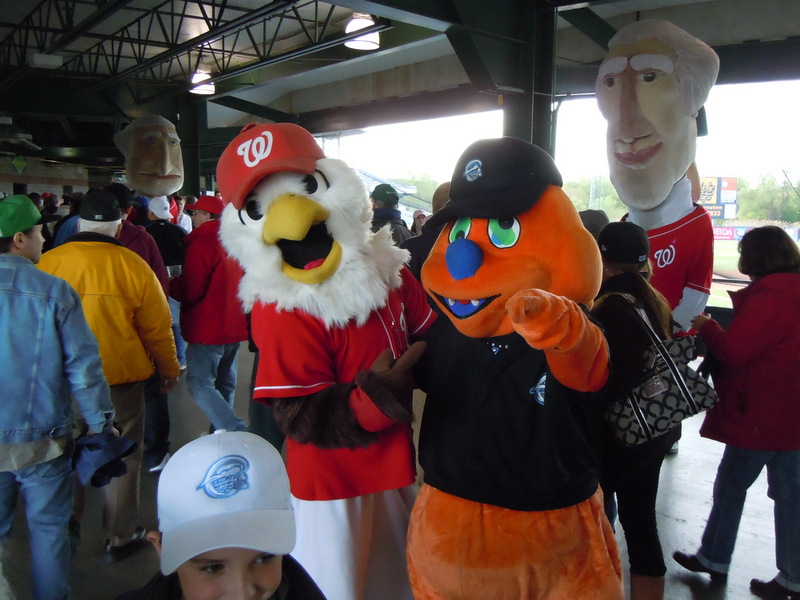 The energy in the crowd was amazing and they were excited to see the presidents race. Tom won the race, the Chiefs won the game, and Syracuse was a bird load of fun! Thanks again for having us and for showing us so much love Syracuse! Tonight starts a five game home stand, and I’m sure that a little home cookin’ is exactly what we need to get back to our winning ways. See you at the park Natstown! !